Posted by Unknown / On : 12:30 AM/ Thank you for visiting my small blog here. If you wanted to discuss or have the question around this article, please contact me e-mail at Gps_86@gmail.com. Nokia X6 sometime have handsfree problem. So we can’t use earphone and sometime mobile shows handsfree logo on screen permanently. We got this error due to some setting mismatch and sometime due to hardware problems. 2. Then got to setting of enhancement in enhancement mode select headset mode. 4. If problem still remains after changing handsfree jack then we have to use jumper for sound IC. 6. 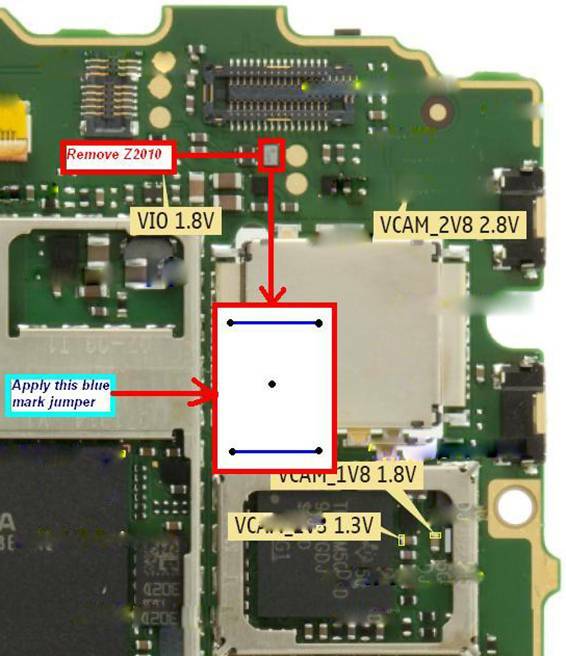 After removing IC we have to make jumper on all IC point as shown in image with blue mark. 7. Middle point should be blank with no connection. 8. After applying these jumpers we will solve our problem defiantly. During IC removing process heat and air setting in heat gun should be in proper setting otherwise IC’s internal print will be damage.